The plant-based ingredients in this hair mask help to restructure very dry and damaged hair deep down. From the first application, very dry hair is regenerated and becomes softer and shinier. 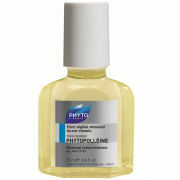 Phytokarite is also an excellent detangler for very coarse and curly hair. Shea Butter helps to nourish the hair. Vitamin E helps to soften hair. Wood Cellulose retains hair moisture while detangling. 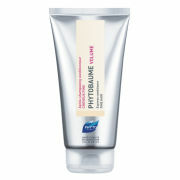 After shampooing, apply a quarter-size amount of Phytokarite to towel-dried hair. Distribute with a wide-toothed comb. Leave on for 5 to 15 minutes, depending on hair porosity. Rinse thoroughly. Use as often as required. 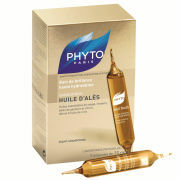 Water / Aqua (Eau Purifiée), Cetearyl Alcohol, Dicetyl Dimonium Chloride, Acetamide Mea, Glyceryl Stearate, Behenoyl Pg-Trimonium Chloride, Cyclomethicone, Stearic Acid (Dérivés D’huile De Coco), Dipalmitoylethyl Hydroxyethylmonium Methosulfate, Stearyl Alcohol (Dérivé D’huile De Coco), Amodimethicone, Ceteareth-33 (Dérivés D’huile De Coco), Butyrospermum Parkii (Shea Butter) Fruit (Beurre De Karité), Distearyldimonium Chloride (Dérivé D’huile De Colza), Lanolin Alcohol, Isatis Tinctoria Seed Oil (Huile De Pastel), Anacardium Occidentale (Cashew) Seed Oil (Huile D’anacadier), Polyquaternium-10 (Dérivé De Cellulose De Bois), Ceteareth-20, Octoxynol-40, Isolaureth-6, Propylene Glycol, Hydrolyzed Keratin, Panthenol (Provitamine B5), Diazolidinyl Urea, Butylparaben, Fragrance / Parfum, Tocopherol. This product makes my hair so soft and shinny ....I never thought my hair could look this good and healthy......it is amazing. The texture of the treatment is gooey, like glue and it smells awful as well. It's really really stinky-I have to spray perfume in my hair afterwards BUT I am loving what it does to my hair. I have fine dry hair and it's made it very soft and fluffy, which was unexpected. I use it every other day as a conditioner. I leave it in my hair for a few minutes in the shower and my hair absorbs the mask like sponge.